This is a survey of the development of the concept of Utopia, by one of the foremost urban planning theorists of the 20th century. 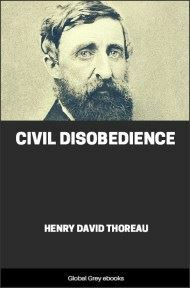 This was Mumford's first book. He starts with a survey of the major utopias, some well-known, others less so. We look at Plato's Republic, More's Utopia, Andreæ's Christanopolis, Bacon's New Atlantis, Campanella's City of the Sun, Fourier's Phalanxes, Cabet's Icaria, Bellamy's Looking Backward, Morris' News from Nowhere, and finally H. G. Wells' utopian fiction. 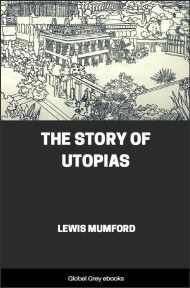 In the final portion of the book Mumford explores the prospects for Utopia and relates it to the realities of urban planning. Mumford's prose style is engaging and this is a great introduction to this fascinating subject. UTOPIA has long been another name for the unreal and the impossible. We have set utopia over against the world. As a matter of fact, it is our utopias that make the world tolerable to us: the cities and mansions that people dream of are those in which they finally live. 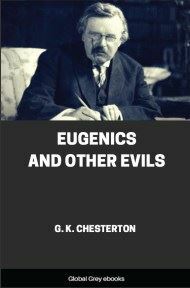 The more that men react upon their environment and make it over after a human pattern, the more continuously do they live in utopia; but when there is a breach between the world of affairs and the overworld of utopia, we become conscious of the part that the will-to-utopia has played in our lives, and we see our utopia as a separate reality. It is the separate reality of utopia that we are going to explore in the course of this book—Utopia as a world by itself, divided into ideal commonwealths, with all its communities clustered into proud cities, aiming bravely at the good life. This discussion of ideal commonwealths gets its form and its color from the time in which it is written. 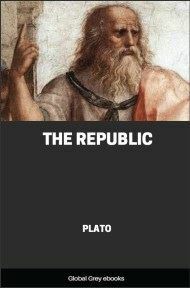 Plato's Republic dates from the period of social disintegration which followed the Peloponnesian War; and some of its mordant courage is probably derived from the hopelessness of conditions that came under Plato's eye. It was in the midst of a similar period of disorder and violence that Sir Thomas More laid the foundations for his imaginary commonwealth: Utopia was the bridge by which he sought to span the gap between the old order of the Middle Age, and the new interests and institutions of the Renaissance. In presenting this history and criticism of utopias we are perhaps being pulled by the same interests that led Plato and More onwards, for it is only after the storm that we dare to look for the rainbow. Our fall into a chasm of disillusion has stimulated us to discuss in a more thorough way the ultimate goods, the basic aims, the whole conception of the "good life" by which, in modern times, we have been guided. In the midst of the tepid and half-hearted discussions that continue to arise out of prohibition laws and strikes and "peace" conferences let us break in with the injunction to talk about fundamentals—consider Utopia! Man walks with his feet on the ground and his head in the air; and the history of what has happened on earth—the history of cities and armies and of all the things that have had body and form—is only one-half the Story of Mankind. In every age, the external scenery in which the human drama has been framed has remained pretty much the same. There have been fluctuations in climate and changes in terrain; and at times a great civilization, like that of the Mayas in Central America, has arisen where now only a thick net of jungle remains; but the hills around Jerusalem are the hills that David saw; and during the historic period the drowning of a city in the Netherlands or the rise of a shifting bank of real estate along the coast of New Jersey is little more than the wearing off of the paint or a crack in the plaster. What we call the material world constantly changes, it goes without saying: mountains are stript of trees and become wastes, deserts are plowed with water and become gardens. The main outlines, however, hold their own remarkably well; and we could have travelled better in Roman days with a modern map than with the best chart Ptolemy could have offered us. If the world in which men live were the world as it is known to the physical geographer, we should have a pretty simple time of it. We might follow Whitman's advice, and live as the animals, and stop whining for all time about our sins and imperfections. What makes human history such an uncertain and fascinating story is that man lived in two worlds—the world within and the world without—and the world within men's heads has undergone transformations which have disintegrated material things with the power and rapidity of radium. I shall take the liberty of calling this inner world our idolum (ido´-lum) or world of ideas. The word "ideas" is not used here precisely in the ordinary sense. I use it rather to stand for what the philosophers would call the subjective world, what the theologians would perhaps call the spiritual world; and I mean to include in it all the philosophies, fantasies, rationalizations, projections, images, and opinions in terms of which people pattern their behavior. 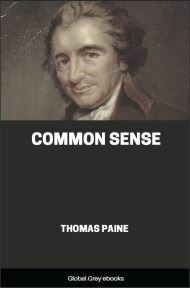 This world of ideas, in the case of scientific truths, for example, sometimes has a rough correspondence with what people call the world; but it is important to note that it has contours of its own which are quite independent of the material environment. Now the physical world is a definite, inescapable thing. Its limits are narrow and obvious. On occasion, if your impulse is sufficiently strong, you can leave the land for the sea, or go from a warm climate into a cool one; but you cannot cut yourself off from the physical environment without terminating your life. For good or ill, you must breathe air, eat food, drink water; and the penalties for refusing to meet these conditions are inexorable. Only a lunatic would refuse to recognize this physical environment; it is the substratum of our daily lives.